And that’s just when we’re talking about a regular old trip to the doctor; the resistance is doubled if our wives suggest we go get checked out for something that everyone believes is really a “woman’s disease” – osteoporosis! (“Come on! Are you kidding me?”) But the fact is that osteoporosis – the weakening of the bones so they become fragile and brittle – is not only a woman’s disease, and more men need to know this. Just ask Larry Funnell, a man with osteoporosis. 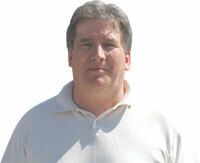 “I was shocked when my doctor told me,” he says on the Osteoporosis Canada website. “I didn’t think that osteoporosis affected me. It wasn’t until my eighth fracture occurred that my doctor sent me for a bone mineral density test.” Larry was only 48 years old when he was diagnosed with osteoporosis, which is why it’s important for both men and women to take this disease seriously. Read more of Larry’s Story. About 2,000,000 million American men have osteoporosis and 12,000,000 more are at risk of developing it. 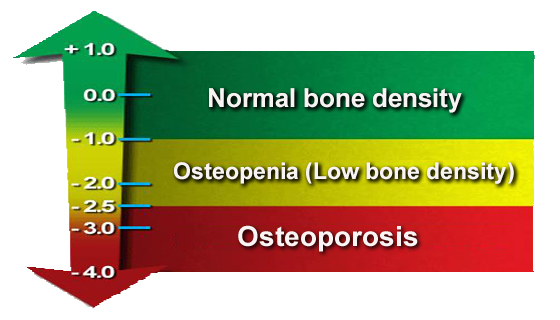 As many as 1-in-4 men over 50 years of age are going to get a fracture due to osteoporosis. Some 80,000 men break a hip every year. That last fact about the broken hip is very important. Why? Because, according to the NOF, “men are more likely than women to die within a year after breaking a hip.” Without being unduly alarmist, that’s a darn good reason for a man to find out if he has or is at risk of developing osteoporosis! With proper treatment, men (and women!) can still lead active lifestyles even if they have osteoporosis. Don’t believe me? Ask Colm Kelly, a man with osteoporosis who still participates in triathlons. Read more of Colm’s Story. The important thing is that a man needs to know if he has osteoporosis, or is at risk of developing it, so that he can get treatment, take preventive steps and to ensure his continued health. This means that it’s time to make a group effort and take a trip to the doctors. If your husband hasn’t been tested for osteoporosis, encourage him to get a test. You know what method works best with your husband, so do whatever you have to – but get him tested! He may complain, but he’ll thank you in the long run. Want to know more? Download the NOF’s Man’s Guide to Osteoporosis. Do you have questions about Osteoporosis or have stories you want to share? Send us your thoughts on Twitter @HomeHero or share a comment of Facebook!